Participants will be asked to advance solutions to issues that were near to Aaron’s heart. Activities for the day will center on furthering work on his repositories, opening access to information belonging in the public domain, developing or contributing to countermeasures to Internet censorship, and exploring code-driven methods to enhance social justice through access to data. Among the like-minded participating groups will figure HacDC’s resident Project Byzantium and the organizer and team from the District Commons project. Those interested in participating should register via our MeetUp event. Those wanting to arrive after 2pm should make note of our telephone number, 202-556-4225, to gain entry as the building will be locked. More location information on our homepage’s sidebar. Participants are encouraged to bring food and drink and practice good neighborliness. There are a variety of carry out options available around Columbia Heights though some may suit individuals more than others. There may be a group purchase at some point(s) but nothing has been set as of this writing. We’ll update this post as needed. 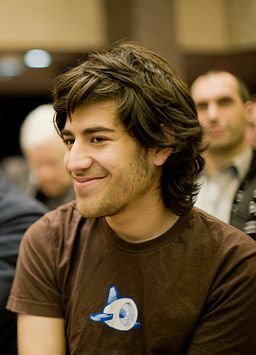 Related: An event taking place on Capitol Hill, on Monday, 2/4/13, at 7pm, this event memorializes Aaron Swartz and seeks to raise awareness about the urgent changes that are needed in the CFAA. These changes are part of Rep. Zoe Lofgren’s draft “Aaron’s Law” (PDF here). 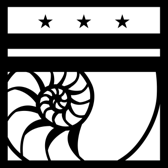 This entry was posted in byzantium, coding, community, DC, Events, History, open data by nootrope. Bookmark the permalink.